Libratone just announced the Libratone Zipp wireless speaker, a compact portable speaker. The Libratone Zipp delivers the performance and convenience of AirPlay without the need for a Wi-Fi network thanks to Libratone's all-new PlayDirectTM technology. • Read more bookshelf speaker news from HomeTheaterReview.com. • Explore reviews in our Bookshelf Speaker Review section. • See a review of the Libratone Live wireless speaker. With the battery-powered Libratone Zipp, you are able to take wireless audio to the outside world, eliminating the need to be close to a wireless network. A full charge reportedly provides up to eight hours of playtime wired and up to four hours using the wireless connection. PlayDirectTM technology makes it possible to stream music with or without the need for an in-home Wi-Fi network. PlayDirectTM works in conjunction with AirPlay technology, creating a direct Wi-Fi connection between the Libratone Zipp and any compatible device, such as an iPhone, iPod Touch, iPad, or computer. 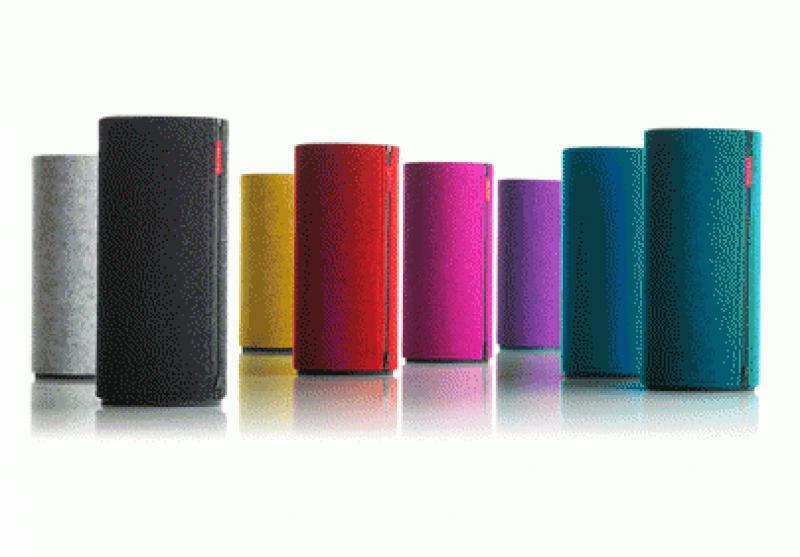 The Libratone Zipp offers a contemporary design with a Scandinavian heritage and a rainbow color selection, including Salty Grey, Pepper Black, Pineapple Yellow, Raspberry Red, Passion Pink, Plum Purple, Petrol Blue and Icy Blue. Libratone's Italian wool covers are sold separately and are quick and easy to change. Additionally, the speaker features a leather handle for portability. FullRoomTM technology is a 360-degree sound experience created by specially designed drivers inside the Libratone Zipp. FullRoomTM technology allegedly disperses sound in all directions for audio no matter where the listener happens to be. To further enhance the music experience, you can download the Libratone app that allows for customization of the sound. Libratone Zipp dressed in Salty Grey or Raspberry Red is sold exclusively at Apple Stores and Apple Online from October 2012 and retails for $399. Libratone Zipp also comes in 3-pack-color boxes with two extra wool zip-on covers included. The Classic Color Collection features Libratone Zipp in Pepper Black, Petrol Blue & Raspberry Red and the fresh Funky Color Collection includes Pepper Black, Passion Pink & Pineapple Yellow covers. The Libratone collection boxes are sold broadly in retail and online from October 2012 and retails for $449. KEF Introduces New LSX Two-Speaker Wireless Music System Building on the success of the popular LS50 Wireless, the new LSX cuts one more cable out of the equation, with truly wire-free connectivity between its stereo speakers. SVS Cuts the Cords with Prime Wireless Speaker System and SoundBase Rock out to SVS's new dedicated wireless speakers, or bring your own speakers to the party and enjoy all of the high-res wireless music streaming courtesy of the new Prime Wireless SoundBase.